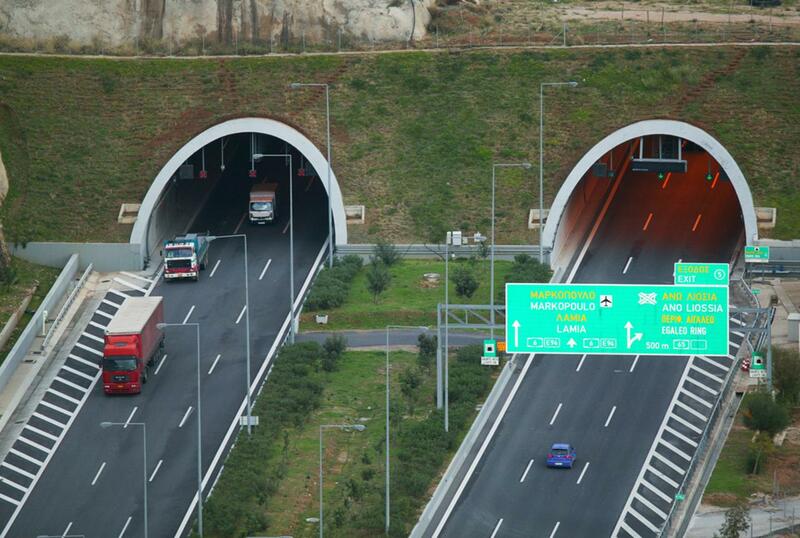 The Mavri Ora tunnels have been operating in the Ano Liosia area (near the Egaleo Interchange) since November 2003. The approx. 400m twin tunnels (three lanes per direction) have been constructed according to the latest quality and safety standards. They are an integral part of Attiki Odos, facilitating movement of the Athens population and drastically reducing the traffic load of the Thessaloniki - Patras corridor through Athens.